From tooth extractions to root canals, and dentures to emergency dentistry, Shawnee Dental offers the general services you need in one convenient facility. The root canal has a reputation for being a painful procedure, but advanced dental technology enables us to perform root canals painlessly. We use high-tech procedures and tools to clean out the infected tooth and make sure it is properly sealed. If you need a dental crown after your root canal, we can offer same-day dental crown creation and placement services. Find out more by calling 405-275-4581 and speaking with a member of the Shawnee Dental team. At Shawnee Dental, we always try to save natural teeth. However, there are some situations where this is not possible or feasible, as in the case of wisdom tooth removal. At this point, we take great care to make sure you are as comfortable as possible during the tooth extraction process. We also perform tooth reimplantations when needed, especially if a tooth has been lost because of an accident or injury. When you need dentures to fill one or both of your arches of missing teeth, we will work hard to get you dentures that will look, feel, and fit accurately. You should feel confident that your dentures will perform exactly as needed, and we are here to assist you every step of the way. Is Tooth Grinding Becoming an Issue? Do you have a habit of grinding your teeth? This is commonly known as “bruxism,” and it can be treated in a number of ways. The first may be through an occlusal adjustment to fix bite problems. The other may be surgery or even TMJ treatments. The first step is to get a diagnosis as soon as possible to rule out more serious conditions and get relief from bruxism. When you have a dental emergency in Shawnee, OK, time is of the essence. Call our office at 405-275-4581 anytime, day or night, and our on-call dentist will get back to you. Our goal is to solve your dental emergency as efficiently as we can. Even if you are not a Shawnee Dental patient, you are welcome to call us for emergency dental treatment. 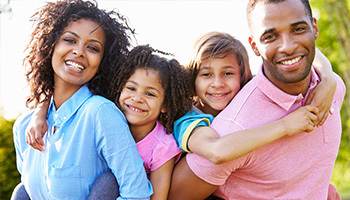 If you need a family dentist in Shawnee, OK, give Shawnee Dental a call at 405-275-4581. From tooth extractions to dentures, we have all the dental services you need for each member of your household.